This decorated wooden gift box craft project can be created in an endless variety of colors for a customized look perfect for any occasion. 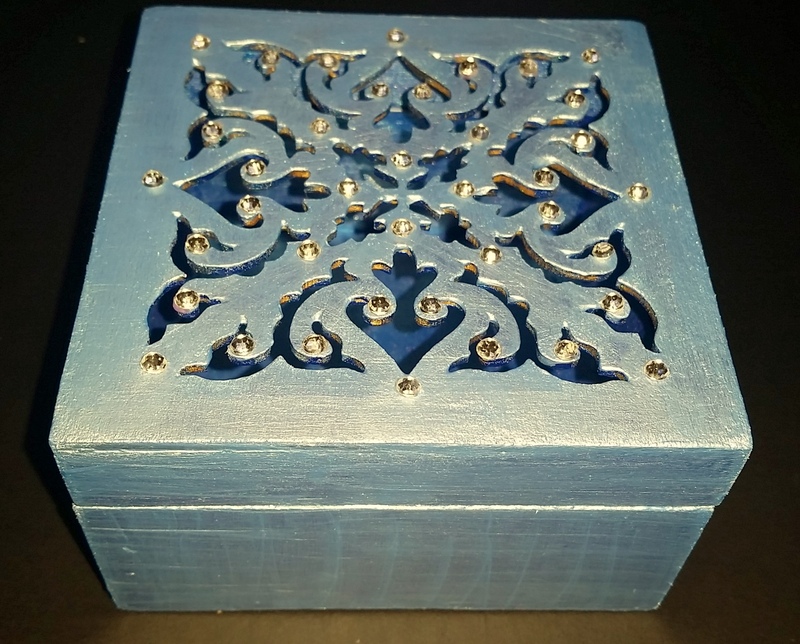 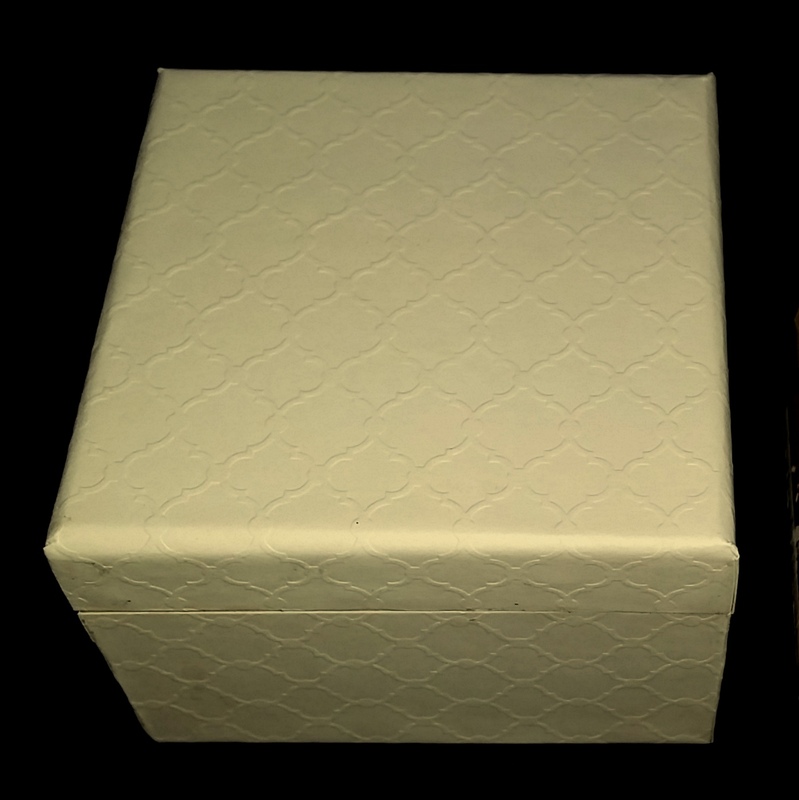 The three different types of wooden boxes in this post are decorated with paint, specialty paper, pearls, crystals and additional wooden or plastic embellishments. 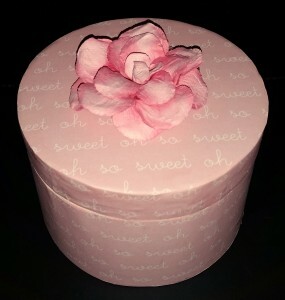 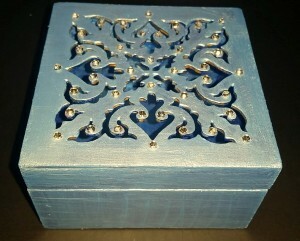 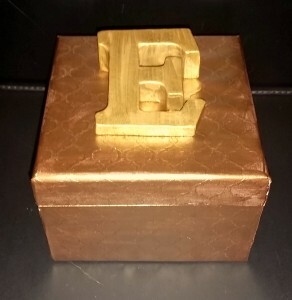 The boxes can be used to hold any small present for a birthday, anniversary, wedding, bridal or baby shower. 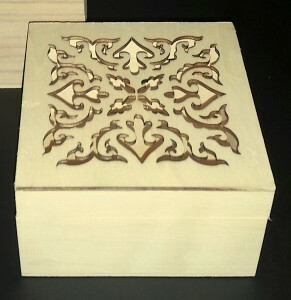 Below is a complete list of supplies and instructions for making the three different versions of decorated wooden gift box. 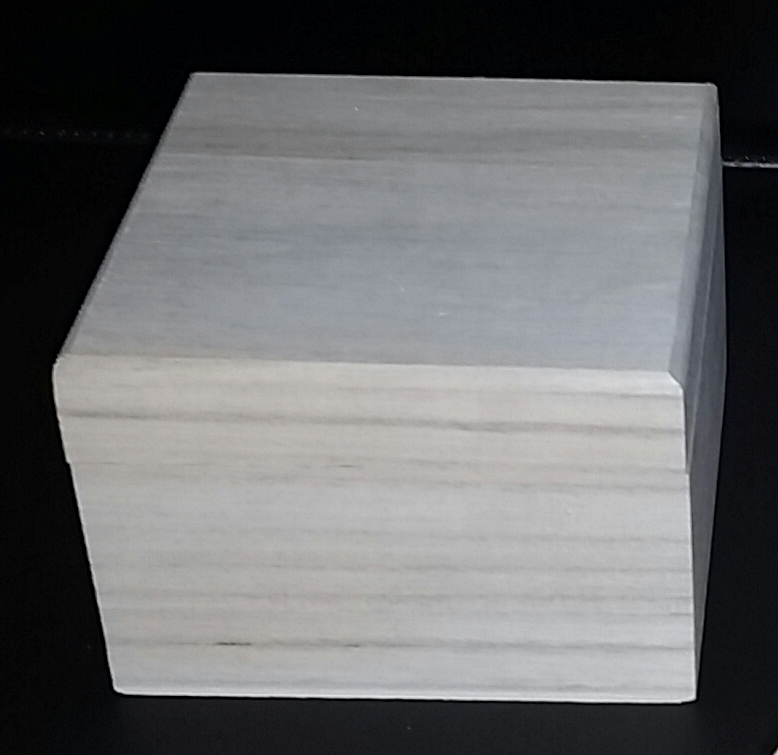 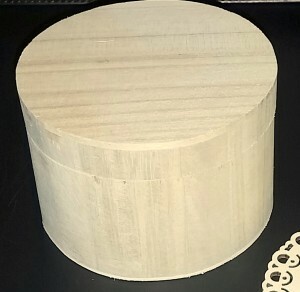 The first version uses a square laser-cut wooden box and the second versions use a solid round and a solid square wooden box.